I found this tutorial on pinterest, and I think it looks great!! Maybe I’m just super lazy, but I thought this project had too many pieces to put together… the legs, the arms, the tail, the ears, the nose, the eyes….. kind of took forever, but it’s adorable! In related news, I need to invest in higher-quality stuffing and batting. The wal-mart/ joann’s stuff just isn’t working the best for me anymore. 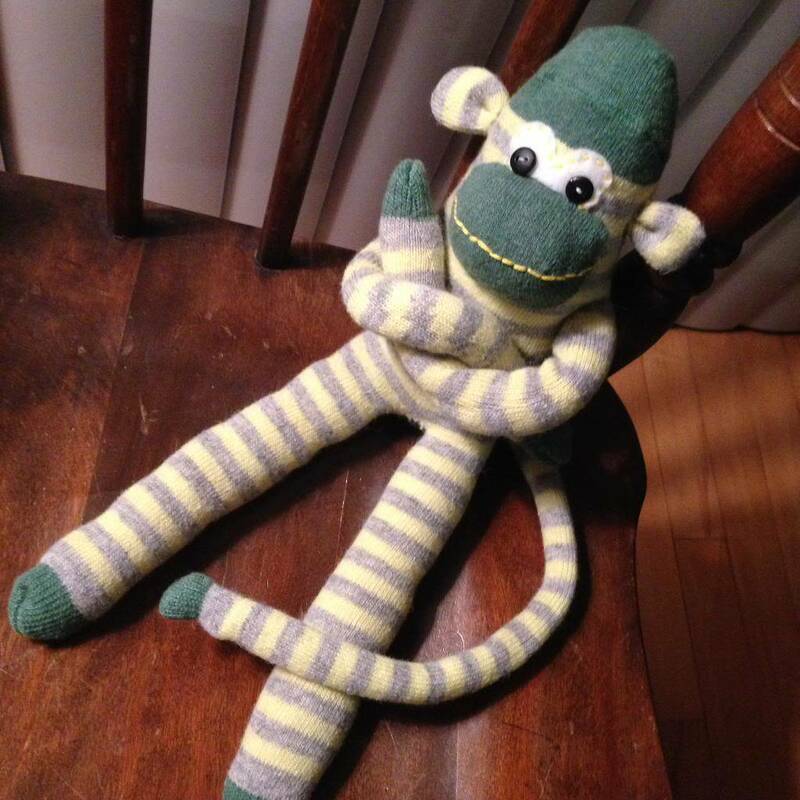 That is one seriously cute sock Monkey! !